Are you suffering from a painful or embarrassing health condition? At Nuffield Health York Hospital our men's health consultants specialise in a range of treatments in a comfortable, confidential private hospital setting. 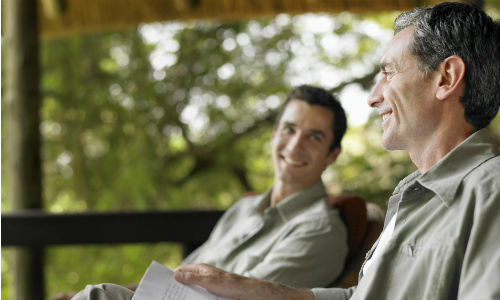 Why choose Nuffield Health York Hospital for your men's health treatment? Suffering from a niggling pain, or want to discuss your male health concerns with a professional? At Nuffield Health York Hospital our experienced consultants can provide you with expert advice and rapid access to a treatment plan individually tailored to you. Our hospital is conveniently situated close to York's city centre on Haxby Road. Even with our central location we are able to provide patients and visitors with an abundance of free parking. We also have a bus stop which links to York train station and surrounding areas for patients who choose to use public transport. Many medical conditions that affect men’s health happen gradually and can go unnoticed or become tolerated. A problem may start as a minor niggle and before you know it you’ve learned to live with it, putting any concerns aside as you get on with your life. It is also our experience that men are often less proactive than women in addressing their medical concerns and put off seeing a doctor. If you are suffering from a men's health related condition and want advice or to discuss possible treatment options, you will need to book a private consultation at Nuffield Health York Hospital. To book, please call our friendly hospital enquiry team on 01904 715 111. If you do not wish to call us, you can even fill out a contact form below and we will get back to you as soon as possible.